Uncorrected refractive errors are the largest cause of avoidable blindness in developing countries especially due to the lack of access to eye healthcare. 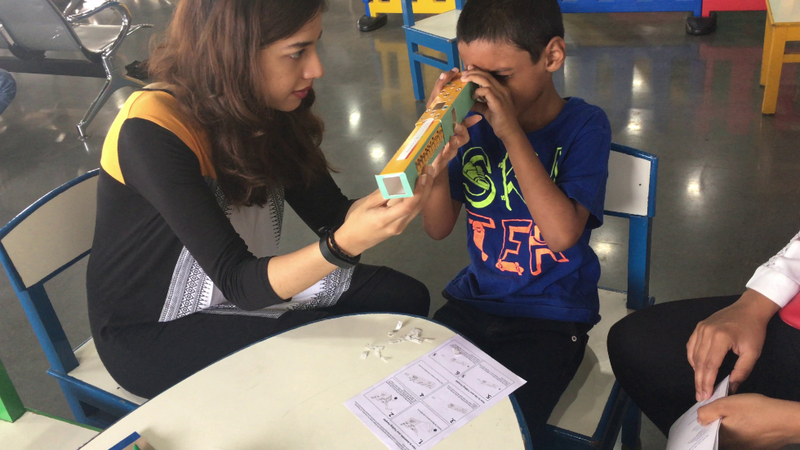 Vision impairment has immediate and long-term consequences in children and adults, like lost educational and employment opportunities, and impaired quality of life. 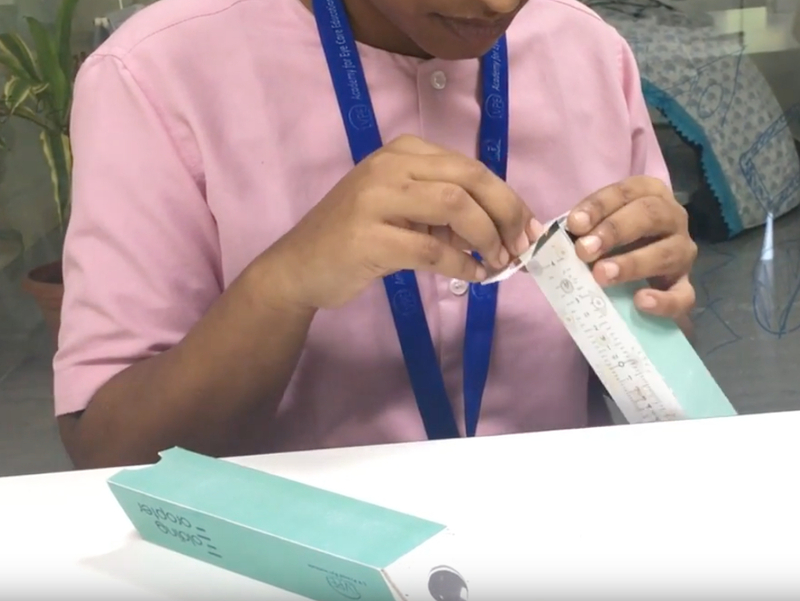 Traditional refractive error screening devices like the phoropter are not easily portable and be expensive which limits access to them greatly. The Folding Foropter was developed to combat the disproportionate access to tools for screening of refractive error in low resource areas. 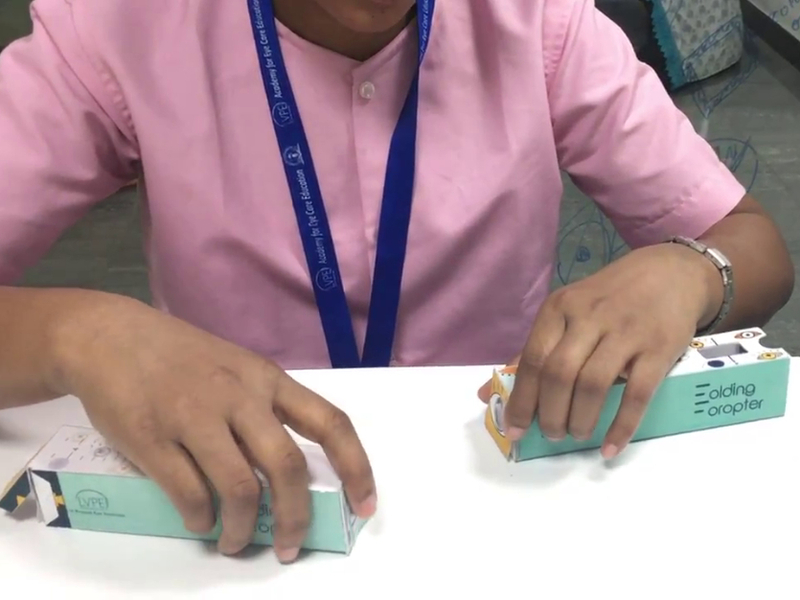 Inspired by Dr. Manu Prakash's Foldscope and the Google Cardboard, this device is low-cost, disposable and easy to assemble. 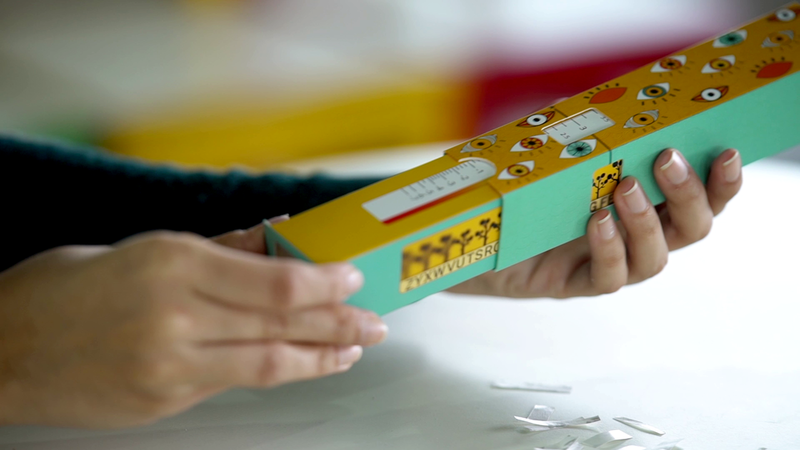 The device is a two lens system that has two paper tubes that slide in and out of each other. Varying the distance between the lenses gives the approximate refractive error of the eye. My role as one of the lead designers was to further develop the existing device to make it more engaging, robust and intuitive to use. Familiar: We wanted the interactions with the device to be as similar as possible to most everyday interactions such as flaps on a carton that afford folding. Consistent: Each step in the assembly of the device had to use the same logic as the previous step. Making the device more visually appealing and engaging. The aim of creating multiple prototypes was to simplify the use and assembly of the device as much as possible while focusing on the visual appeal of it. We worked on the assembly method, scale and graphics to achieve the same. 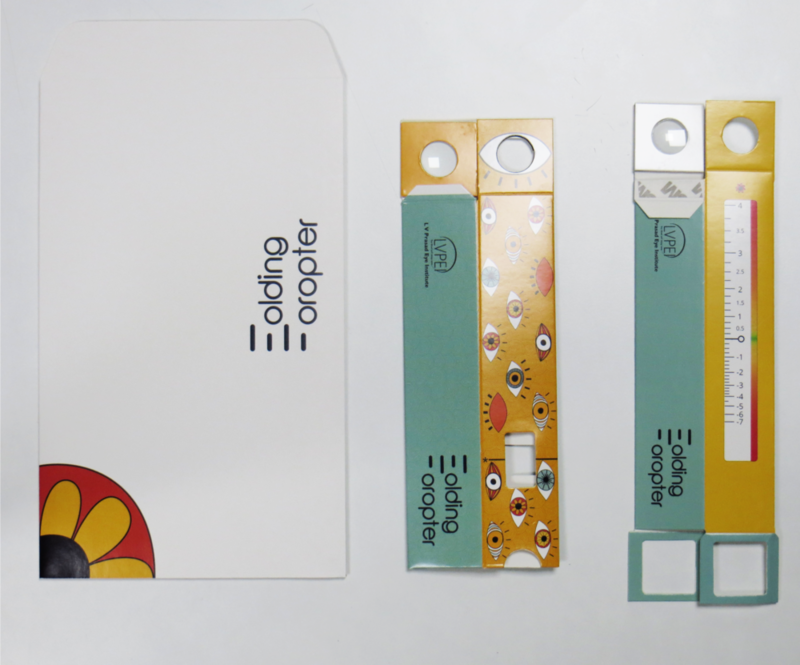 The following are some of the critical areas on which we worked to develop the existing device. We addressed these issues via rapid paper prototyping and subsequent user testing. Where does the eye go? We wanted the scale to be understandable by all. Beyond this we also wanted it to be educational to make people aware of the different types of refractive errors, thereby creating empathy in them. For this we created a visual representation of the refractive error, blurring out objects generally viewed from a distance, like trees, to depict myopia (short-sightedness) and blurring out objects generally viewed from an arm's length distance such as alphabets in a book to illustrate hypermetropia (long-sightedness). The Folding Foropter would be sent flat to the users, which makes shipping, cheap and convenient and they would then assemble the device to use it. We decided to design an envelope that would contain the device, target and the instructions as well. We conducted several user validations at every stage and with every prototype on people of various age groups and backgrounds. We have partnered with large organizations to sponsor the Folding Foropter for schools in rural India. The state government has also commissioned our devices for screening across the state of Telangana. 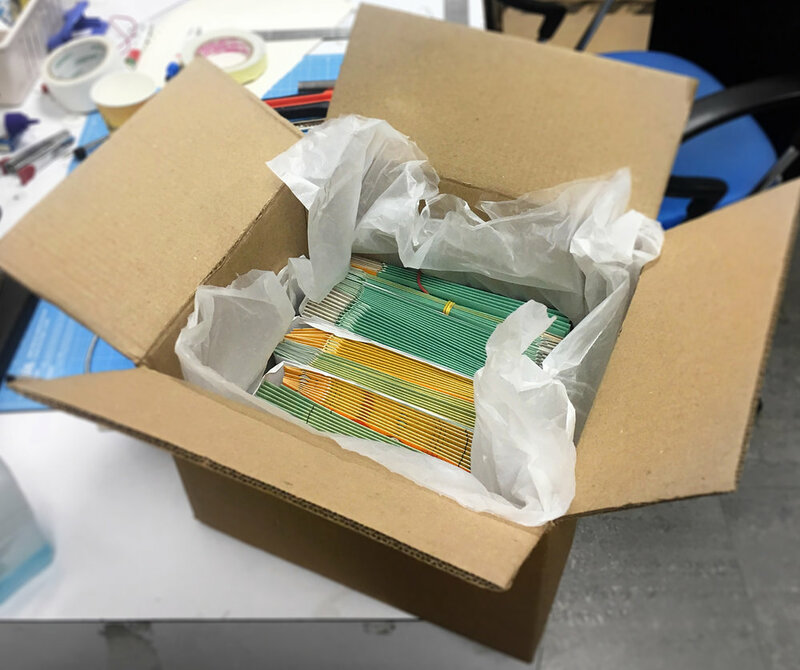 We even sent our devices to countries such as Peru, Rwanda, and UK. Folding Foropters were used at an eye camp, in Peru by a volunteer team from North Carolina to screen people for refractive error. They (Folding Foropters) were fantastic and really helped us to identify the appropriate lens strength for our patients. The gift of sight opens an entirely new realm in which to experience life. I want to thank you and your team for all you’ve done to create the Folding Foropter. My team and I, along with our mentor Dr. Anthony Vipin Das, attended the TEDxGateway 2018, at Mumbai. We set up a booth at the experience zone at the venue, where we created awareness about the Folding Foropter. We engaged with the attendees at our booth where they got to check their eye power, were very enthusiastic to learn about our device.